← Update on repairing old chairs: I got two of them done. Potato recipe: Ukrainian potato pancakes “Deruni”. This is a fast and delicious potato recipe. 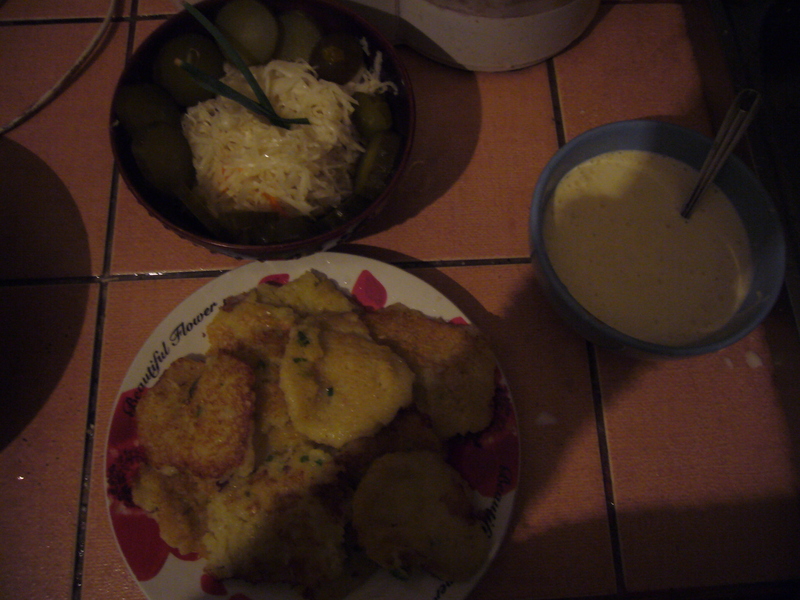 These potato pancakes are called in Ukraine Deruni. Deruni means grated. Grating is the key word in making Deruni. You peel and grate potatoes. I grate with my food processor, as I hate hand grating! It takes about 3 min. 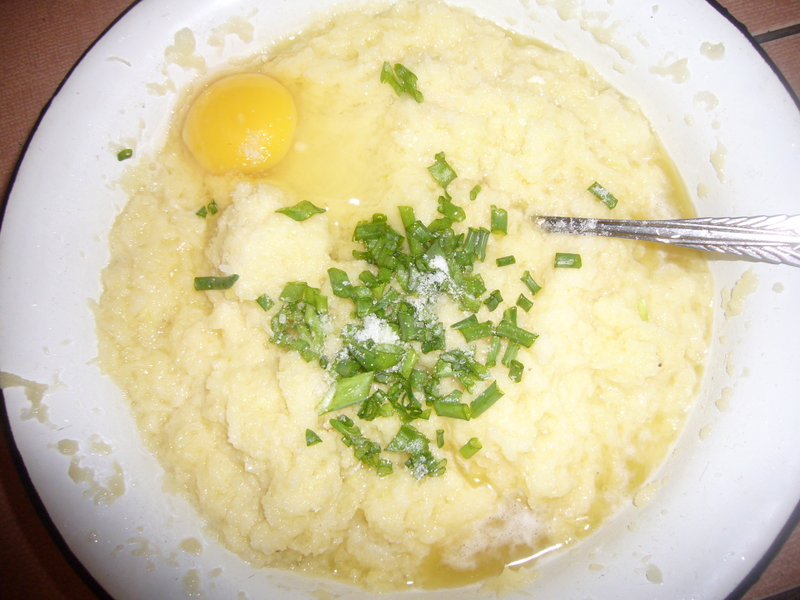 I add the egg, salt, flour and green onions. Done! You heat up the pan, pour plant oil in generously and fry Deruni on both sides, as you do with regular pancakes. 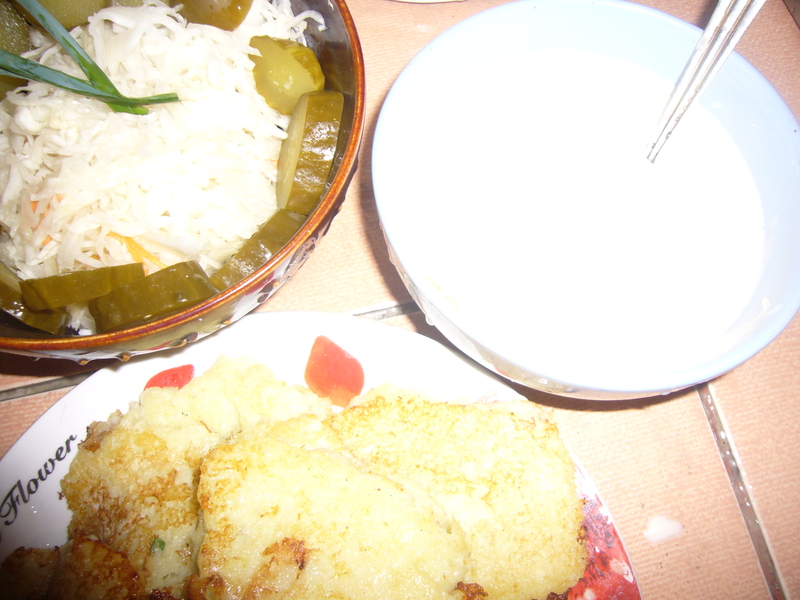 pickled cucumbers and sour cabage. Serve them hot. This entry was posted in Easy Recipes and tagged cooking, cooking tips, easy cooking, easy recipes, ethnic recipe, food, home cooking, mom help, potato, recipe, recipes, tasty home recipes, Ukrainian, Ukrainian cuisine. Bookmark the permalink.